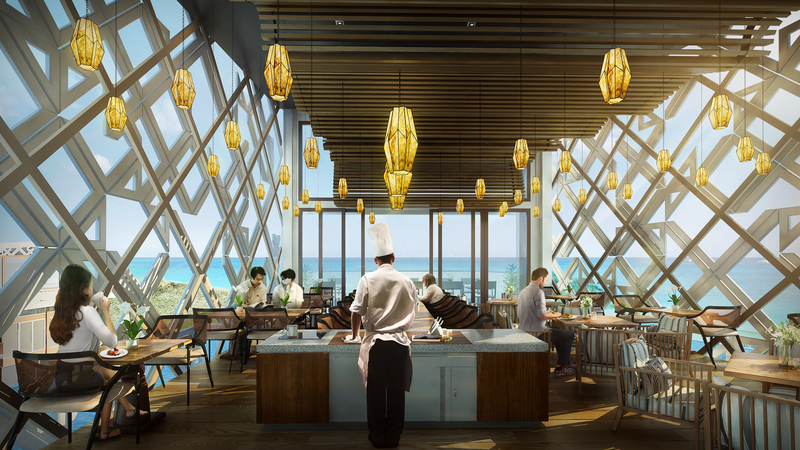 Asian Food Tourist | Crimson Resort & Spa Boracay is making its mark even before its opening, set to happen at the beginning of 2018. The third Crimson property to open in the Philippines, the resort sprawls across 30,000 square-feet of tropical island. The property has been highly curated with each area showcasing what the Crimson brand stands for—bold style and undeniable passion, rich in culture and design while keeping the value of Filipino hospitality. Claiming its space as Station Zero, where it boasts an exclusive location with an undisturbed white sand beach, Crimson Boracay offers the ultimate island resort experience from inside out. Its partners WATG, the world’s leading hospitality design firm and its affiliated interior design studio, Wimberly Interiors, have created a distinct style specific to Crimson Resort & Spa Boracay, where the combination of contemporary architecture, natural landscape and interior design compliments the local Filipino setting. Its vision was to create an immersive experience into Filipino island living. Given the world-renowned ambiance of Boracay Island, the property’s interior has been carefully crafted to live up to its grandeur while staying true to Crimson—cosmopolitan, sophisticated, alluring and naturally warm. “Appealing to a variety of travelers, the hotel boasts a youthful, inviting ambiance that encourages guests to explore barefoot island lifestyle,” says Christine McGinnis, Associate Vice President, Wimberly Interiors. The sea arrival injects the guest’s journey with the stunning sea to land views of the hotel, providing both exclusive access and a luxurious overwater experience. “We wanted to create something truly unique and explore elements of design we haven’t used before. We had to ensure we maximized design impact with the compact space we were given, on such an awe-inspiring site. We kept the architecture simple and clean, using the projection of the rooms and ledges to play with light and shadow to create depth and dynamism,” shares Chiara Calufetti-Lim, Associate Vice President, WATG. The Pavilion, a venue that is one of its kind, is built at 20 meters above sea level with its floor-to-ceiling glass doors and walls, offers a breathtaking view of the white sand beach and crystal clear waters. Its facade is matched with inspirations from traditional living and intricate geometric patterns. Walking through the entire space, one is set to see elements of nature and a neutral color palette that brings out shades of sand, stone, and wood to highlight vibrant accents. This speaks both of a dynamic and daring language that upholds the Crimson standard. Crimson Resort & Spa Boracay offers enviable views of the skies and the seas, taking advantage of its elevated slope setting and WATG’s use of a tri-dimensional approach to this feature. It is given a panoramic structure that cascades in blocks and steps down the natural landscape, maximizing the views from every angle while skillfully concealing functional spaces. The overall design creates a contemporary style that sets the resort apart and makes it a site to see. The resort features one Presidential Villa, 22 Villas each with its own plunge pool, 72 One-bedroom Suites, 97 Deluxe Rooms, Saffron Café all-day dining restaurant, Mosaic Latin American Steakhouse, Pool Bar, Grand Ballroom, The Pavilion, Meeting Room, Crimzone Kids’ Club, three swimming pools, a Fitness Center and the famed Azure Beach Club and Aum Spa. Crimson Resort & Spa Boracay is the third Crimson property to open under the management of Chroma Hospitality, Inc. 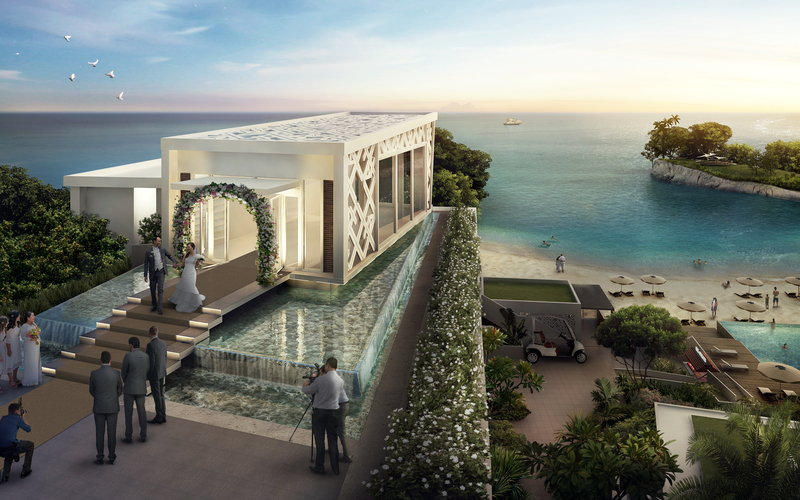 The much-anticipated resort is located in Station Zero, Boracay Island’s most exclusive location, featuring a secluded and pristine white sand beach and mystic clear waters. To learn more about Crimson Resort & Spa Boracay, please visit www.crimsonhotel.com , call +63 998.596.4654 or email info.boracay@crimsonhotel.com. Chroma Hospitality is a young, forward-thinking company crafting bold, innovative hospitality brands. Owned by Filinvest Hospitality Corporation, it is the management company behind Crimson Hotel Filinvest City, Manila, Crimson Resort and Spa, Mactan in Cebu, Quest Hotel and Conference Center in Cebu City and Quest Hotel and Conference Center in Clark, Pampanga. 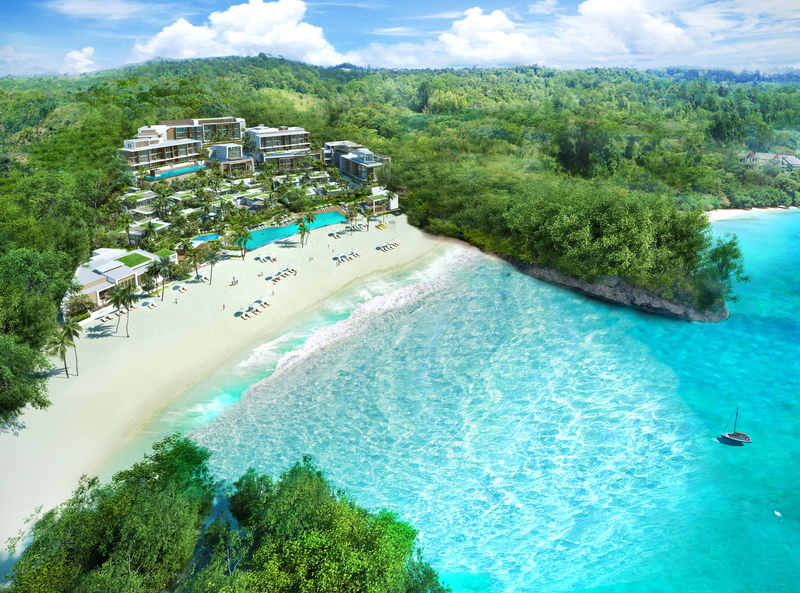 Opening soon is the highly anticipated Crimson Resort & Spa Boracay. For more information please visit www.chromahospitality.com. WATG is one of the world’s leading integrated design firms and ranked 2nd in the world among hotel architectural firms. WATG’s interior design firm, Wimberly Interiors, was ranked 10th by Interior Design Magazine in their 2016 Hospitality Giants survey. In 2016, WATG and Wimberly Interiors designed over 200 projects in 46 countries on six continents on behalf of distinguished brands such as Disney, St Regis, Rosewood, Fairmont, Belmond, W Hotels, Nobu, Viceroy, Atlantis, Hard Rock, Ritz-Carlton and Four Seasons. For more information please contact Purple: Laura Blakeman-Laura.Blakeman@purplepr.com 0207 434 7066 | Georgie Griffiths-Georgie.Griffiths@purplepr.com 0207 434 7066.